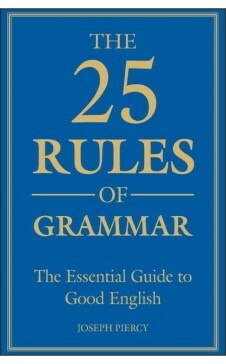 This wonderfully straightforward yet information-packed book outlines the 25 rules that should be adhered to in written and spoken English. English grammar is often said to be overcomplicated and difficult to get to grips with, but the truth is that, while there are certain rules that should be obeyed, the language evolves and develops over time—and quite rightly so. In this wonderfully straightforward yet information-packed book, Joseph Piercy outlines the 25 rules that should be adhered to in written and spoken English, defining the rules themselves and then decoding them for the reader so that he or she understands each rule and how it has been used and developed over time. 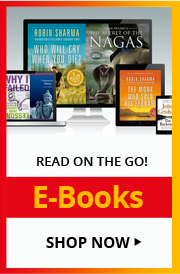 In doing so, the author highlights the most common misuses—or plain errors—in the language, such as apostrophes, "who" and "whom," and avoiding split infinitives and double negatives, while also setting the reader on to the right path to speaking and writing in good, plain English. The book also includes tests and questionnaires that allow the reader to see the rules in action and to assess their own understanding of grammar. Joseph Piercy is a freelance writer and the author of Are You Turning into Your Dad?, The Story of English, and Symbols. He holds a Master of Philosophy degree in English Studies and is a regular contributor to various magazines and journals.